Style: Multiplex "Low-Rise (3 floors or less)"
Garage: Single "1 stall, underground parking"
A 1593 sq. 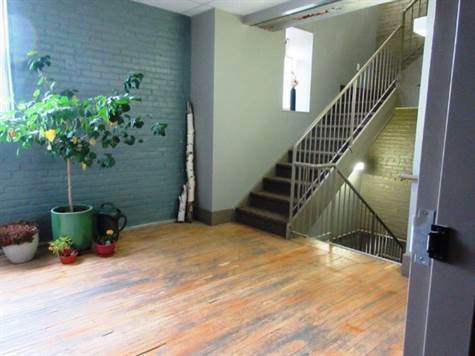 ft. warehouse loft condo on 3rd floor of 1170 Broad Street. Open concept with post ‘n beam construction, 3 spacious bedrooms, 2 bathrooms (one w/jet tub in good condition). The galley style kitchen has abundant cabinets & excellent counter space, with dining area large enough for big table. Ash wood flooring, open concept with post ‘n beam construction, high efficient furnace, 1 heated underground parking and corner storage. Also, a freight elevator, and use of common roof top deck.